The Saxton Cabinet has a graphic surround of wood which frames its doors and drawers. This unit can be freestanding or wall mounted. A pair would make excellent night tables. 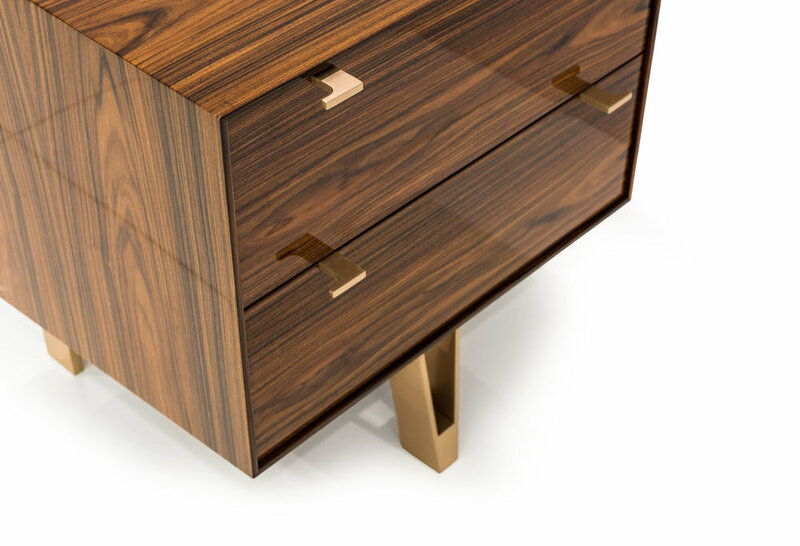 Two drawer version shown in Lacquered South American Rosewood with Silicon Bronze legs and hardware. Three drawer versions shown in Japanese Sen with Silicon Bronze legs and hardware (last 2 images in Nickel). The cabinet is also available in other woods and design configurations.